Is Your Email Marketing Solution Measuring Up? Home » Email marketing » Is your email marketing solution measuring up? Email marketing is highly measurable, that has always been one of its strong points. You can measure who opened and clicked in your emails. Who unsubscribed, how many and from which email. Most email marketing solutions (or ESPs) will offer some kind of basic statistics or reporting module, but what kind of reporting are you looking for? The very basics in email marketing statistics include emails sent, bounce reporting, open rates, clicks and clicks per link. With these numbers you can get quite some insight into how your emailings are performing. But believe it or not, there are still enough marketers out there that don’t have these numbers available through their current platform. Or they do have the email metrics them, but don’t use them. 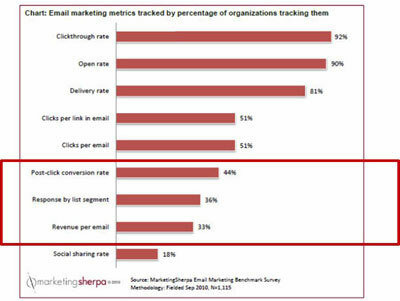 A recent report by Marketingsherpa showed that only 51% of organisations are actively tracking clicks in email. And only 33% actually knows the revenue per email. Transactional email is often not sent via a specialized Email Marketing Solution, so these have the highest chance of not being measured at all. But when evaluating your email vendor, you might want to look beyond the basics of reporting. When diving a bit further into email statistics, you might want to look the overall trends your email marketing program displays. Where is your email program headed/ Are you performing better or worse? Some ESPs can make it easy for you to select a number of emailings and see what the underlying trends are. This also makes it easy to compare two test runs or compare this Christmas mailing with last years’. Most of the real action often takes place on the website. For instance think about ecommerce websites, they DO care about the sales. The webshop is one or more clicks behind the email. So you need to be able to monitor that web behaviour. 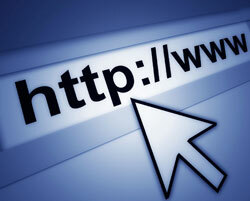 Tying Email Marketing and Website together is a true step forward. Some ESPs will give you the ability to automatically pass on tracking codes to your website and/ or they will allow you to measure a transaction on the website by loading a script or tracking image on “thank you” page. Make sure your analytics package and ESP are compatible with your current and future tracking needs. But then, what happened? Did you want to enrich your customer profiles by adding behavioural data from the site, the email marketing solution or other sources like a CRM tool? Wow…. this might seem a simple task to tackle, but even a selection like “people that did open the last three emailings, but didn’t click” can become an gigantic hurdle if the tools and experience aren’t up to it. Make sure your needs are calibrated before you decide to choose any ESP, package and services. And be sure to see if your email vendor can fulfil them. Looking beyond the email channel is a reality if you want to measure the impact of your campaigns across channels. This is particularly true for social media. 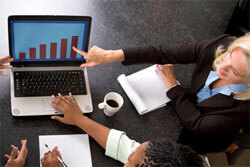 Some Email marketing solutions have social campaign management and reporting integrated. This is a concideration for brands that are currently using social channels intensively or looking into using social media more in the future. 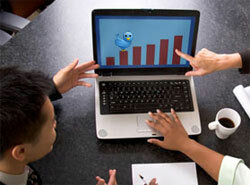 Some companies will choose tools specific for monitoring and managing campaigns in other (social) channels. Email campaigns and their content, will however always be a catalyst for action and responses in other channels. If your company is serious about social media, this is a sure point to address. Insight isn’t always in your face. Data analysts spend days digging through data to find the true value behind the numbers. and making it actionable. For instance to get some feel for segment performance or customers performing throughout their lifecycle. This requires to create pivot tables or cross-selections, etc. It can be mind blowing to see how you VIP-customers react compared to the rest of your email list. Or the people who opened on a smartphone, did they have a higher click rate after the last redesign? In this cases it is great to be able to create these reports. Some might be able to do it in the email tool itself (because then its a requirement), otherwise in a linked / integrated analytics tool. As a marketer though, you will probably don’t want to go into the most detailed level of reporting every time. But it would be handy to have often used selections and reports close. Some Email tools offer you the functionality to save reports. You can combine reports and arrange them in a dashboard. A reporting dashboard gives a quick overview of highlevel statistics, while keeping it centrally stored and understandable. Measurement and analytics are often placed at the back of the line behind all the other functions of your email marketing solution. But the power of statistical data is only uncovered once it is turned into actionable insight and information. So be sure to include them into your requirements and closely look at the measurement and analytics capabilities of your Email tool.